In this post, I discuss the basics of nonprofit organizations, why they are necessary, and the essential role they play in our society. Photo by Sharon Sinclair is licensed under CC 2.0. This content uses referral links. In previous posts, I have written about various business organizations and factors to consider when picking a business form. Now, however, I would like to discuss different types of organizations entirely: nonprofit organizations. Whether charities, fraternal organizations, political action groups, or sports leagues, nonprofit organizations come in many forms. They serve a variety of purposes. As their name suggests, however, one common characteristic unites them. Unlike businesses, they do not exist to turn a profit. Nonprofit organizations cannot distribute their net income as a profit. They particularly cannot pay out any excess funds to those who control them. Plainly put, nonprofit organizations cannot pay dividends. 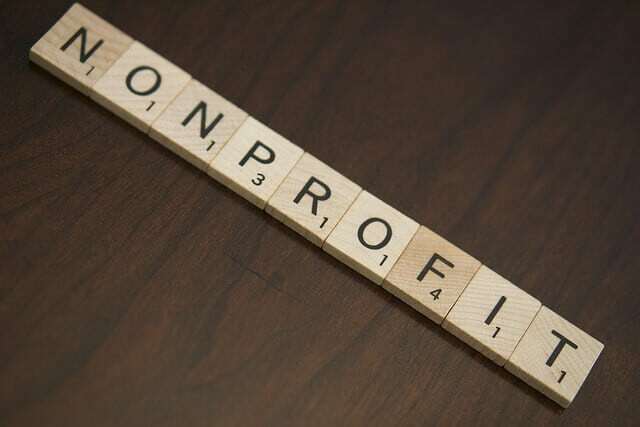 Any “profit” that a nonprofit organization may make must further the organization’s accepted nonprofit purpose. So, what are some accepted nonprofit purposes for which such organizations can exist? I will discuss this in much greater detail in a future post. Some common purposes, however, include religious, charitable, and social advocacy. So, the First Baptist Church, the Red Cross, and Citizens United are examples of those respective categories. There are a lot of nuances to this issue. For our purposes here, the tax code outlines acceptable nonprofit purposes. These generally center around activities beyond serving the members of the organization. The body of law governing nonprofit organizations is significantly different than that which regulates for-profit businesses. Traditional corporate law serves to protect shareholders from the actions of the board of directors and officers. It also helps ensure that the corporation is run for its stated purpose—generally, to maximize shareholder value. Nonprofit law, however, serves to protect the donors of the organization. So, laws prevent organization insiders from enriching themselves and ensure that donations advance the stated purpose of the organization. So, if a save the children organization begins promoting partisan political causes, that could pose a problem. That does not mean that nonprofit organizations cannot pay insiders a “reasonable” salary. Neither does the law prevent charities from spending money in controversial ways. Indeed, the media has run stories about charities that spend little on their stated charitable purpose. These organizations often spend the bulk of their donations on overhead, salaries, and administrative costs. The line between what is acceptable and what is not is often a blurry one. Executive salaries tend to garner the most media attention. For example, media outlets have reported that Goodwill’s CEO makes more than $800,000 per year. As I stated above, nonprofit organizations cannot distribute their profits to insiders. Why, then, do executives at these organizations make so much money? The law uses a reasonableness test. That is, courts look to see if the salaries earned by nonprofit insiders are reasonable. The IRS considers unreasonable wages a distribution of profits. This would, of course, undermine the organization’s nonprofit status. So, what constitutes a reasonable salary? Is $800,000 a reasonable salary for an employee of a nonprofit organization? After all, tax-deductible donations are (often) funding that salary. In determining reasonableness, courts will compare the salaries of nonprofit insiders with those at equivalent for-profit organizations. So, a court may compare the income of a nonprofit insider with the wages of a similarly-situated executive at a comparatively sized for-profit firm. The idea that leaders of charities should not make much money seems noble. The federal government does not, however, seek to enforce this ideal through the tax code. Congress wanted to provide nonprofit organizations the flexibility to attract talent from the for-profit world. This often requires offering comparable compensation packages. For better or worse, this is perfectly legal. So, what role should the nonprofit sector serve? Why do we afford special protections and tax benefits to nonprofit organizations? First, nonprofit organizations allow for the pursuit of unmarketable endeavors. There are some endeavors that society has decided have inherent social value despite having no potential pecuniary gain. Feeding hungry children, for example, is not an endeavor that would attract venture capitalists. We as a society, however, would like to encourage it. So, we provide unique protections and incentives for such efforts. Second, nonprofit organizations are excellent avenues for non-majoritarian movements. That is, nonprofit organizations allow groups holding minority positions to band together. These include those adhering to various minority political, religious, or social causes. We as a society might not value the individual endeavors themselves. (Otherwise, they’d be majority positions.) We do value, however, the right of individuals to band together and advocate for their beliefs. Americans have always been wary of uninhibited majority rule. Our system, therefore, provides small cohesive groups with the tools necessary to advocate for themselves. The third reason we allow for nonprofit organizations is the contract failure theory. This theory states that there are gaps in society, such that neither the government nor a free market can fill. Filling these gaps, however, is necessary for the common good. This theory states that only nonprofit organizations can effectively fill these gaps. This theory is further subdivided between the market failure theory and the government failure theory. The market failure theory states that there are some causes for which there is no incentive for the free market to provide public goods. This may be because of what is known as the free-rider problem. The free-rider problem refers to a situation where it is just as easy for one person to enjoy a benefit as another. It is therefore impossible to force everyone to pay for it. Providing clean air is the common example. The market has no direct financial incentive to provide clean air. A for-profit player could not limit the provision of clean air to those who pay for the service. He could therefore not expect any return on his investment. Market failure can also occur when the consumers are different than the purchasers. Two common examples are nursing homes and disaster relief. In these situations, those paying for the goods and services are often different than those receiving them. People in disaster areas generally do not pay the Red Cross for the bottled water and shelter they receive. Therefore, the market does not have an incentive to meet the needs of the consumer of the goods and services. Instead, the motivation is toward satisfying the payors. This, of course, distorts the service the market provides. Anyone who has ever had to deal with subpar medical care because of what their insurance does and does not cover should understand what I mean here. Government failure is the other prong of the contract failure theory. Proponents of this theory state that government moves too slowly. It cannot respond rapidly to public needs. Furthermore, government can generally only act with majority consent. So, a genuine need for which there is no political support will usually not prompt government action. Given the limited resources of government and the myriad of different interests and ideologies competing for political power, there are a number of worthy causes that do not receive government support. Nonprofits help fill this gap. So, what are the legal requirements for creating a nonprofit organization? A nonprofit organization must state its intention to be a nonprofit organization in its Articles of Incorporation. These articles must also contain a non-distribution constraint. As described above, this forbids the organization from distributing the money it collects to insiders. Federal law generally controls the government and formation of nonprofit organizations. Nothing stops the states from providing unique rules for the establishment of nonprofits. The federal tax implications, however, are often the driving motivation in designating an organization as not-for-profit. The federal tax code, therefore, generally controls. States, acknowledging this reality, usually defer to the Internal Revenue Code. State rules governing the formation and recognition of nonprofit organizations, therefore, generally reflect the US Code. So, what if a nonprofit organization decides that it wants to convert to a for-profit business? This is possible but very difficult. Such a move usually requires the termination of the nonprofit organization and the formation of a new for-profit company. When a nonprofit organization is terminated, however, the organization must distribute all its assets for public use. The new organization cannot use them, making the transition extremely challenging. Informative summary. Thank you for publishing this.